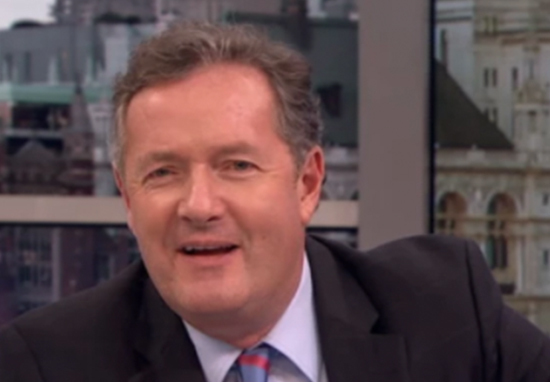 Piers Morgan could not believe his ears when a mind reader guessed his PIN number during a spooky episode of Good Morning Britain. 52-year-old Piers appeared genuinely ruffled when Lior Suchard announced the first two digits – three and nine if you are interested – live on air. Lior held up the numbers on a huge notepad, clearly visible to mesmerised viewers at home. Fortunately for Piers’ bank balance, he wrote the other – equally correct – numbers out of sight of the cameras. I want him [Lior] detained, I don’t want him anywhere near my PIN code! We need him arrested and removed in chains! When people think of something they use subliminal messaging and nonverbal communication. Piers’ colleague Susanna was also bamboozled by the psychic, despite doing her upmost to hide her thoughts. The self professed ‘world’s greatest mentalist’ correctly guessed what the 47-year-old presenter was thinking about, but this wasn’t even the strangest thing. Not only did Lior guess she was thinking about a cat (although, in the YouTube era, aren’t we all? ), he had posted a piccy of a cat to Instagram an hour before; so confident had he been about the inner workings of Susanna Reid. Can you tell if Susanna has a thing for anyone in this room? Theres a few! It’s you! She loves you very much. Oo-err. Susanna was quick to protest, but this has certainly stirred up some juicy – if unlikely – daytime telly gossip. Could we be looking at potential power couple a la Richard and Judy? Spiers? Smorgan? Plenty of Good Morning Britain fans took to Twitter with a confusing mixture of fear and amusement. I'm surprised there's anything in Piers Morgan's mind except PIERS MORGAN PIERS MORGAN AND PIERS MORGAN ??? Freaked me out just watching. This has to be the first time that @piersmorgan has been upstaged by a guest. Didn't see that coming. ? It looks like piers will have to change that now but also what an amazing talent to have ! Wow, how does he do it?! Very entertaining to watch…and rather cute too!! A mentalist and ‘mystifier’ of international renown, Lior has sent many a famous head spinning, from Barbara Streisand to Kim Kardashian. If you are feeling brave, you can check out his tour dates here.